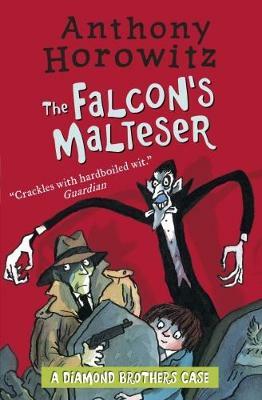 A hilarious story about the world's worst detectives by the bestselling author of the Alex Rider series, Anthony Horowitz. Meet the Diamond Brothers, the world's most defective detectives, by the author of the number one bestselling Alex Rider series. When a dwarf comes into the office and leaves a package, Tim Diamond, the world's worst private-detective, is faced with his toughest case yet. The office is ransacked and the package is found to contain simply a box of Maltesers. Who was the dwarf ... and why was he murdered shortly after his visit? Anthony Horowitz is the author of the number one bestselling Alex Rider books and The Power of Five series. He has enjoyed huge success as a writer for both children and adults, most recently with the latest adventure in the Alex Rider series, Russian Roulette and the highly acclaimed Sherlock Holmes novels The House of Silk and Moriarty. Anthony was also chosen by the Ian Fleming estate to write the new James Bond novel, Trigger Mortis. Anthony has won numerous awards, including the Bookseller Association/Nielsen Author of the Year Award, the Children's Book of the Year Award at the British Book Awards, and the Red House Children's Book Award. Anthony was awarded an OBE for Services to Literature. He has also created and written many major television series, including Injustice, Collision and the award-winning Foyle's War.